Since the recession hit hard affecting not only the UK but across the globe, finding jobs unsurprisingly proved to be a big problem. However, the launch of online job boards around 1994, it has proved to be the perfect tool for those searching for jobs. 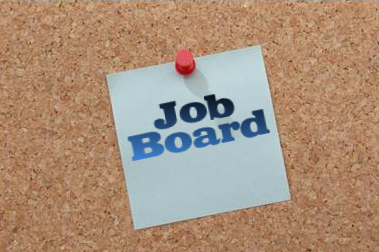 With the ability to search a variety of jobs, at any time of the day or night in various locations, many jobseekers turned to job boards as an efficient means of finding the next job opportunity. Over the years, job boards have developed and are not simply a way of looking for a local job, but it allows users to look for jobs globally; some even assist jobseekers in other aspects of the job search process including salary and transport checkers. When it comes to job boards, there are a variety at our disposal. We can chose between local and global, niche specific or general and even some aimed directly at groups such as students and graduates. By comparing the job boards, one can look at their successes and failures, advantages and disadvantages and see what really makes a good job board. One job board argue that it is about quality and not quantity, “When it comes to job boards, volume isn’t everything. Instead, advertisers should focus in deciding which job boards provide the best value in the form of the number of qualified applications per job advertisement. Based on this criteria, a niche online job board… is much more cost effective than the more expensive larger, generalist job board .” Although some may think niche specific job boards are the obvious and better choice it could be argued that by attracting career specific jobseekers, boards are missing out on a mass of other jobseekers that may have skills just as suited to the jobs in question. One cannot ignore facts such as information taken from ‘Onrec’ that “In the UK alone, there are over 14 million people who have access to the Internet, and an estimated 6.3 million of these use it to look for work.” By disregarding such a large portion of these jobseekers, how can recruiters be sure that they have the right candidate for the job? Although yes, quality is important, job boards cannot afford to disregard quantity when looking for the ideal candidate. Much like the above argument, one could say that local job boards are better than global boards due to their searches and matches being more specific, but again a huge transient market pool is being missed out on. Aside from this, by attracting global jobseekers, employers are helping out their economy by bringing more people in from overseas. This does not mean that boards should dismiss qualitative local jobseekers completely just to employ globally, but if a position cannot be filled by a local applicant, why not look further afield? We must also consider the fact that one leading job board has recently been acquired by one of Europe’s largest online job boards, encouraging others to follow suit in going global. In 2007 it was counted that there were around 1200 job boards in the UK alone, and now an estimated 100,000 job boards worldwide and still growing rapidly. Although yes, the future of employment does seem to be highly reliant on job boards, the boards must be careful not to get lost in the mass and consequently fail. In 2010 one job board blog, ‘Job Board Doctor’ suggested several reasons why such organisations fail including not listening to both employers and jobseekers, and lack of understanding in social media, a now extremely important factor which must be considered in this day and age. Job boards must also make sure that they have something different to offer both the employer and jobseeker, although niche specific boards are not the key to success, a niche in the job board itself will prove successful in standing out from the job board crowd. This entry was posted in General Posts and tagged applying for jobs online, internet job search, job board, job hunting online, job seeking, online job boards. Bookmark the permalink.